Social networks are transforming the ways people communicate, from meeting new friends and staying in touch with family to building professional networks and creating learning communities. While Chinese social networkers don’t have access to Facebook and Twitter, they use a variety of Chinese applications to make the most of the opportunities provided by online social networks. Facebook famously first started among college students, just like China’s RenRen.com (formerly known as Xiaonei.com, literally “on-campus network”). As one of the top three social media websites in China, RenRen.com has revolutionized the way young people communicate. Based on networks of students who know each other through college, RenRen users post, share, join and build groups, and use a variety of applications that help friends connect online. For college students, discussion groups in RenRen are good knowledge sources to supplement college classes. Students are able to join any groups they interested to get up-to-date news, course reviews and discussions about course features. “Academic nerds” majoring in related fields who manage discussion groups voluntarily usually set up those knowledge groups. The hottest groups include Economy, Finance, Accounting, Automobile Mechanics and Graphic Design. Since more Chinese students study overseas, they post fresh articles from foreign media that benefit their college classmates greatly. RenRen uses the “real name” system, meaning that users must use their real names. Millions of college students throughout China use RenRen to look for jobs and overseas study programs. In addition to functioning as a social network, it is like a central “Craigslist” that works much better than college information boards and job posting websites. Well-known companies such as Google, Procter & Gamble and Deloitte build their own RenRen groups that students join to get information about events, products and job opportunities. RenRen strikes a balance between both entertainment and practical content shared through extended alumni networks. In contrast to Facebook, which has been adopted throughout American society, RenRen is still primarily a “youth community”. 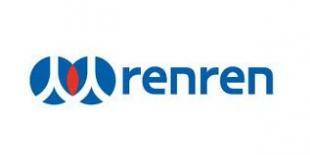 RenRen is seeking a larger audience and has made efforts to extend its reach to different user groups. To most users, its youthful character is not a bad thing: Young people are able to speak out their own thoughts regardless of the opinion from parents and teachers. They share the world’s latest trends, movies and TV shows, and discussions of global events. Public courses from US universities, TED lectures and American TV shows are very popular among Chinese youth. Yang Lan, often called “China’s Oprah”, put it best: “The traditional media is still heavily controlled by the government. Social media offers an opening to let the steam out a little bit.” That “little bit” has already changed life for China’s youngest generations. Sunny Zhang is a marketing intern at OpenSesame, the world’s elearning marketplace. A native of China now living in Portland, Sunny enjoys using social media, learning about marketing and researching how social networks are used differently throughout the world. She is an experienced event planner and nonprofit organization manager. In her free time, her favorite pastimes are hiking and looking for Portlandia’s best organic food.